Andalucia is probably the best region to experience local events and festivals. Every celebration is a great opportunity to organise a Family Fiesta – as everywhere kids will participate! Carnival in Cadiz – is the oldest carnival celebrations on mainland Spain dating back to the 16th century and influenced by the carnival in Venice, a trading partner of Cadiz at the time. Normally is happening at the beginning of February. But don´t expect Rio Carnival here. In Cadiz carnival is about sense of humour, cabaret songs (chirgotas) sang by groups of ordinary people from Cadiz. Carnival in Cadiz is about fancy dress – all famillies dressing up in many different themes and having fun. Finally Cadiz carnival is also about sherry. 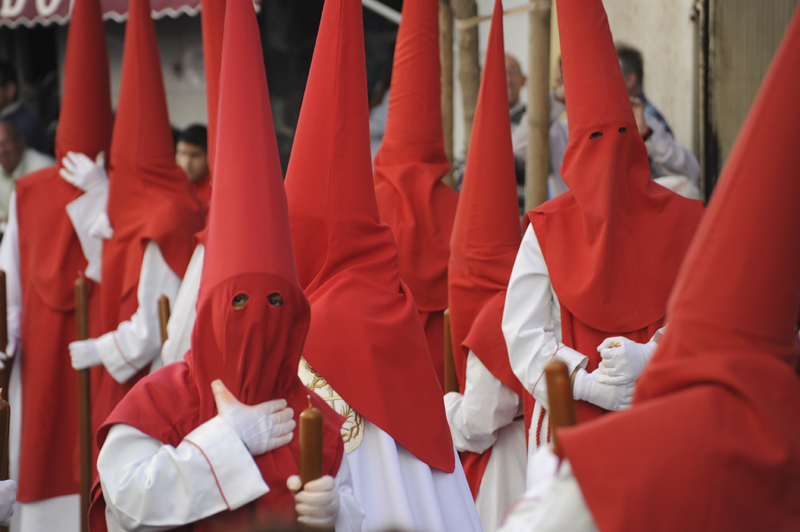 The Easter is a main and most celebrated holiday in Andalucia. The celebrations are hold during the whole Holly Week, staring from Palm Sunday. All cities and towns of Andalucia transforms into processions. 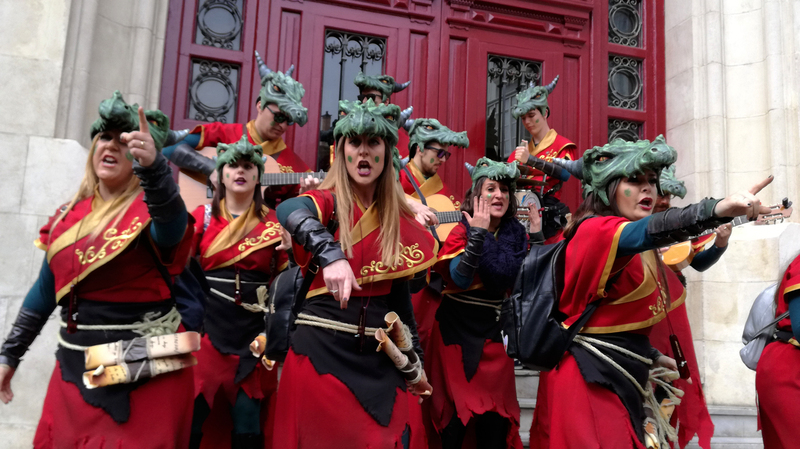 Every day there are different processions, some of them hold during the night but on all of them you will see groups of pointy-hood wearing Nazarenos holding big candles. Each brotherhood (as that what they are) have different colour of the ropes and hood. Each one leaving their parish church to the cathedral (or main church in the town) and returns. You will never see anything like it anywhere else. Ferias. Each town in Andalucia has it´s own Saint as a patron. Each of towns is celebrating from 4 days to 1 week of feria which is a mixture of old andalucian tradition with modern funfair for kids. The feria lives all nights with parties, food and drink. Each town has it´s own traditions but everywhere you will see traditional flamenco dresses, andalucian horses, you could listen to life music and dance and watch others dancing. kids would love to go for funfair. 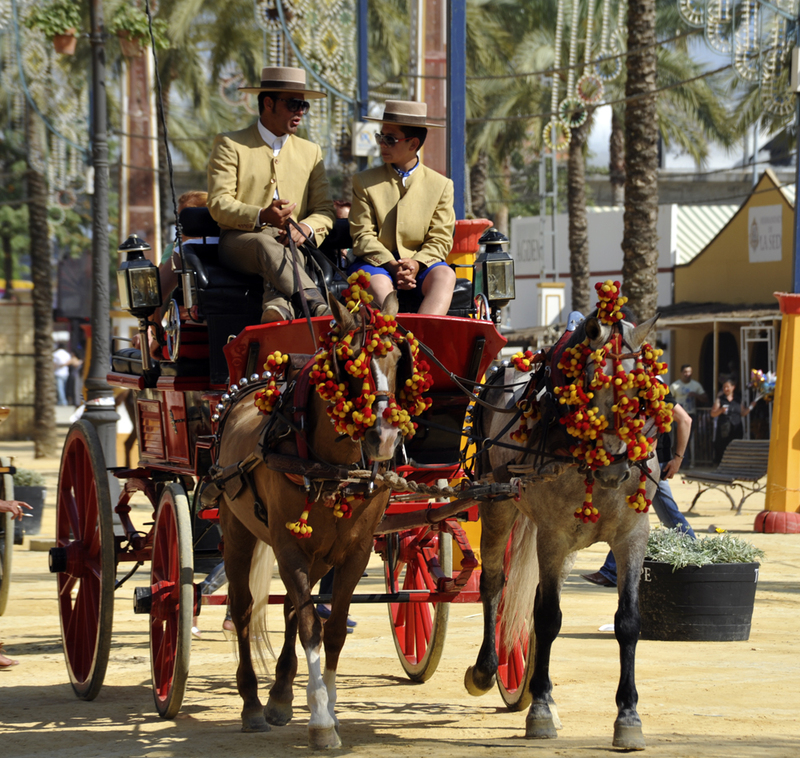 My favourite is Feria del caballo (swieto koni) in Jerez de la Frontera – normally at the beginning of May. WIth old tradition of horse market now it has many horse shows on and great sherry from bodegas de Jerez.